Thea lost her unborn baby and husband almost all at once. It's time for a change. She can't stay and be surrounded by all of the memories. So she takes a job as a midwife in Cimarron Creek. She has barely arrived when a Texas Ranger shows up on her doorstep with a baby. The child's mother has been murdered and Ranger Jackson is hoping that Thea can care for the baby until he can find the killer. Thea isn't sure she can take on a baby so soon after the loss of her own. I read the first book in this series and really enjoyed it. Somehow I missed reading the second one, but was able to read this one without feeling like I was missing out. But since I enjoyed the third book, I'll be grabbing the 2nd one soon. 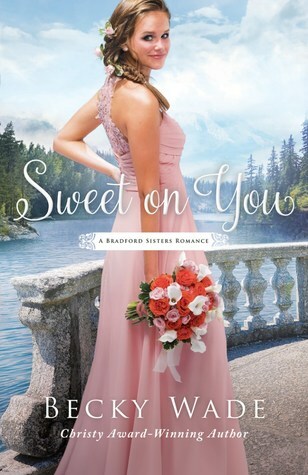 The author did a great job of creating a story full of romances, suspense, humor, and faith. I enjoyed how she created authentic and enjoyable characters. Even the characters that were abrasive were done well. Elements of faith are woven throughout the story. I enjoyed this new series and look forward to what the author has coming next. Willow is a free-spirited, adventurous artist who is raising her grandson. Her husband passed away several years ago and Willow moved back to her hometown to start an art gallery. 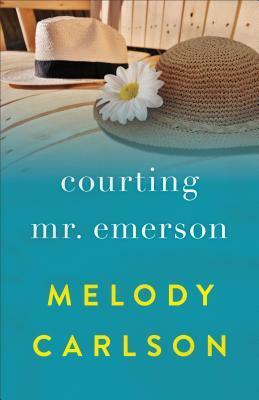 She meets her grandson's teacher Mr. Emerson when she goes to the school to talk to him. He is the exact opposite of her. He wears the same clothes, follows the same routines, and needs structure to survive. When the two get together they mix like oil and water. Add into the equation a church going Willow and an aloof, perhaps agnostic Mr. Emerson and their future together doesn't look promising. I always enjoy a good romance story. This is not really a romance, at least not in the expected way. Sure it has romance between several of the characters. But this book has so much more. The message of salvation is woven between every line. 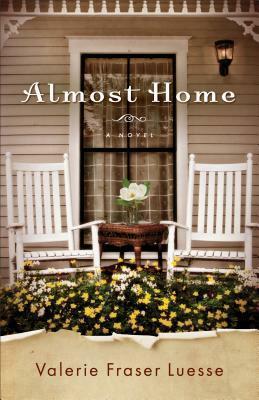 The author does a fantastic job of creating authentic, realistic characters that pull at your heartstrings. There are also elements of humor, family, and drama woven into the plot. 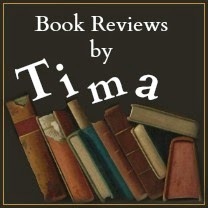 I enjoyed this book and would definitely recommend it for a quick, enjoyable read. But expect to also be pulled out of your comfort zone and be left thinking long after you finish the book. Life is changing because of the war. Farms are collapsing, men are leaving home, and the ones left behind are flocking to the munitions plants to keep their families afloat. Several families arrive at Dolly's family home turned bed and breakfast. Each person is fighting their own personal battle. But when disaster strikes the family home, the families rush to solve a previous generations mystery and rally around to save Dolly. I'm not usually into these types of books. So I went into it with a bit of trepidation, expecting cheesy plots lines and predictability. And while there might have been a bit of that; this book was so much more. The author was able to draw out the different characters and their emotions so that the reader becomes completely engaged. It was like two separate stories were happening at the same time - the current one with the different boarders and the mystery from decades ago that had never been solved. There is a touch of miracles, lots of heart, and plenty of laughs. Even if this doesn't seem your style, I recommend giving it a try. It made me think long after I finished the book. Britt and Zander are best friends. They've been together since high school and nothing has driven them apart. Zander left over a year ago to travel the world and Britt misses him so much. When a death in the family brings Zander back stateside, Britt is saddened. But she's also so excited to have her best friend back home again. But the reason Zander left is still between them and Britt will need to wake up and take stock of her emotions before she ruins the best thing that ever happened to her. This was one of those books that was eagerly anticipated and read through in just a day. I wasn't disappointed. But I was surprised. I expected the sweet romance, little bits of drama and intrigue, the importance of focusing on family, and the zany and fun characters. What I wasn't expecting was how much I would fall in love with Zander or how amazing the romance between the two main characters would be. I can honestly say that this was one of the hottest romance I've ever read. It's clean - so don't get excited. I'd let my daughter read it. But it was so full of emotion and feeling that I felt like I was experiencing it myself. It was real and authentic in a way that most romances tend to miss. The whole package was amazing. And I had to stop and think for a bit before I wrote the review. There were several points that the author made that really gave me food for thought. I think this would be perfect as a gift or book club selection. While it can definitely be read alone, I would recommend picking up the first two books in the series, as well as the prequel. It will make the story richer. I received a copy of this book. All thoughts expressed are my own thoughts and opinions. 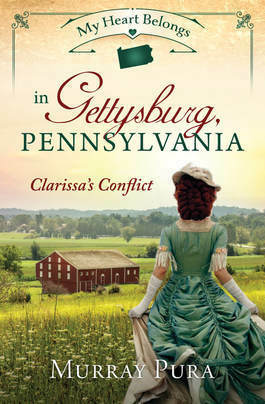 Clarissa lives the life of a respectable daughter in historical Gettysburg. But at night she helps lead people through a section of the underground railroad. During her travels she meets a man named Liberty who wears a hood to conceal his identity. During the day she courts the attention of a scholar named Kyle that her parents approve of for their only child. I was so excited to get this book to review. I love reading historical fiction, especially stories about the underground railroad. I've really enjoyed the other books in this series. The story was well written, flowed well, and really highlighted some of the intense moments during that time period. The heroine though was enough to make me want to quit reading. She was spoiled, way too forward for the time period, and hateful. The seemingly two sides of her personality didn't mesh well at all. She professed to be a Christian, but repeatedly flew off into a temper, was extremely judgmental and was always jumping to erroneous conclusions, she was loose with her affections, repeatedly disobeyed her parents, and wasn't very kind. I read a lot of historical fiction and just didn't feel like she was a true representation of a female for that time period. I have no idea why a guy would even be interested. Because of this, I found the main male character to be weak and spineless, even when you find out his "secret" that wasn't so secret. I would have been ok if she had ever come to realize her flaws and actively worked to correct them. But she blamed it all on her red hair and constantly made excuses for her behavior. Even when she did apologize, she didn't seem sincere. As a parent, I found her in serious need of discipline. In conclusion, good story base, but not no endearing or redeeming main characters. The story begins with a broach that will be passed down to the next female in the family. The broach is considered to be of some value, but will can be sold due to the sentimental value that each woman places on it. As each woman navigates love, marriage, parenting, and trials that life brings, she holds on to the stories and lessons that are passed down from each previous generation. I love novellas. And I love collections that tie together while written by different authors. So when I saw the author lineup (some of my favorite authors), I knew I had to read this book. It definitely didn't disappoint. 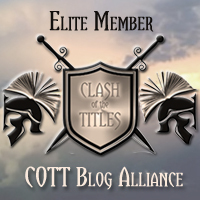 Each author took the story of a broach and told how it was passed down to a female in the next generation. The authors told the part of the story that fit the time period they most often write about. Each story carries on from the last one, but is written in the authors own style. 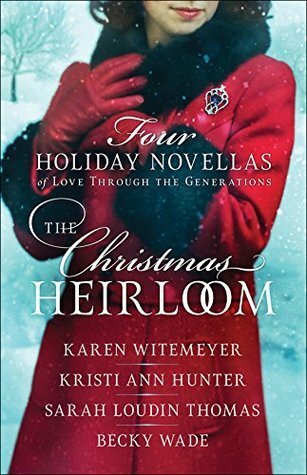 These are some big names in Christian fiction and to have them all collaborate on a beautiful Christmas story was amazing. 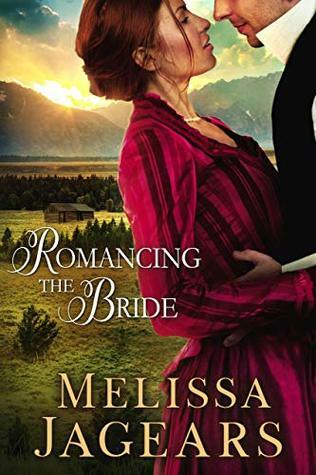 If you haven't read some of these authors, this book will give you a glimpse into the time period they typically write in and their writing style. Loved this book and will be snagging a paper copy so I can reread it in the future. Annie needs to keep the ranch in the family. But after her husband passed away, she's been struggling to manage. Her son and daughter are helping, but they are just kids. She needs to keep the ranch to pass on to her children, but she's also tied to the ranch because of the little graveyard that holds her babies and late husband. She can't lose that connection with them. So she proposes a crazy idea to the local sheriff, Jacob. Marry her for her land. Jacob is torn. He plans to buy a farm or ranch, but all of the good ones are gone. But marry a woman he doesn't know just for her land? This isn't just a sweet romance that's over in a couple of hours. It has depth, suspense, drama, and a love story that goes beyond just the two main characters. The author did a great job of setting up the plot so the reader was engaged and the characters had depth. I think my favorite character was actually one of the secondary characters, so I look forward to hopefully seeing her in another book. If you enjoy historical fiction that has sustenance and makes you think, then you'll love this book.